Program for this project required a rehabilitation center for physically challenged, injured and old people; which included exercise areas, occupational training and workshop areas. The institution was a charity foundation and raised funds by providing public functions such as facilities for a gymnasium, a skating rink, a jogging track and a play ground. 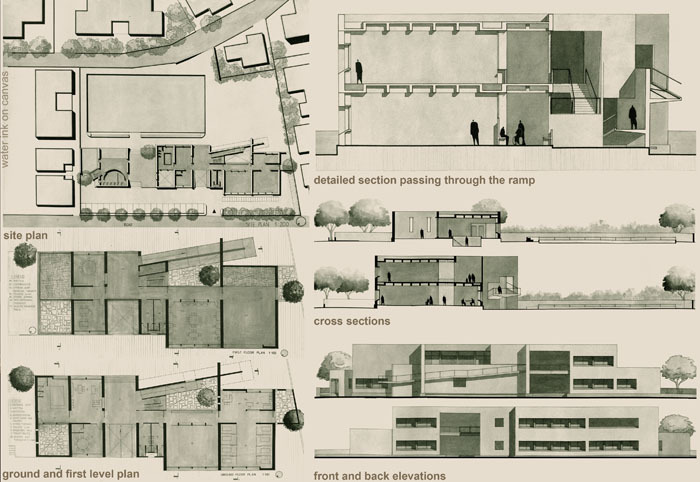 Crucial design concerns were sustaining institution’s philosophy, build an image for the society, functionality, flexibility of use, urban response, easy movements for handicap people and most importantly provide restive quality of environment and strong sense of livelihood within society.